Sunny days, warm nights and some of the best water temperatures around! Thailand is a tropical wonderland that can be enjoyed all year. Temperatures typically range between 18°C – 38°C so, whether you like stay cool under a shady palm or get out and soak up the energy and heat, the weather in Thailand caters for you! Unlike its other Northern Hemisphere counterparts, Thailand doesn’t conform to the usual four-season structure. In Thailand, there are three: the wet season, the hot season and the cool season. Take a look below to learn more about each Thai weather season and work out when the best time is for you to travel to Thailand! Thailand’s wet season occurs between July and October. During this time southwest monsoons are common, though the rainfall is not continuous like you’d expect. Rain in the wet season occurs mainly in the afternoon. The mornings are sunny and warm, with temperatures averaging 28°C. 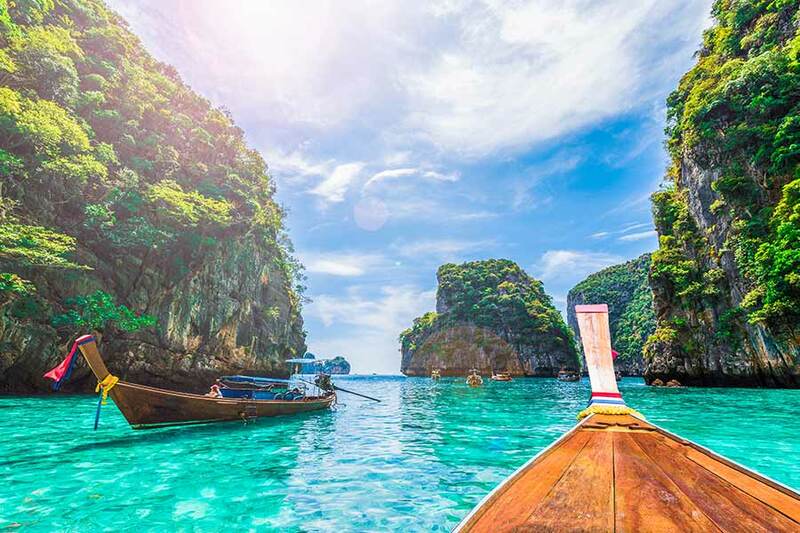 During this time, it’s quite easy to get out and explore before the downpour happens so, as long as you’re aware that the rains are coming, there’s no reason why you can’t plan your Thailand holiday during these months. Another thing to note about the wet season is that it occurs at different times on the country’s two main coastal/island areas! On the Andaman coast (Phuket, Koh Yao Noi, Krabi and the Phi Phi islands), the southwest monsoons take place between April and October. In the Gulf of Thailand (Koh Samui, Koh Phangan and Koh Tao), they take place between September and December. The beaches near Pattaya and Trat tend to follow the main wet season dates so, that means, no matter when you travel, there’ll be a pleasant, sunny beach with your name on it! If you like it hot, this is the time for you! Between March and June you can soak up the glorious tropical sunshine, embrace average temperatures of 32°C and cool down with a refreshing dip in the ocean or quick frolic in one of the occasional rain showers. The hot season is the perfect time to visit the Gulf of Thailand—it’s well out of the wet season range in that area and is ideal for swimming, snorkelling, water sports and more! Pack your swimsuit, light clothing, your slip-on footwear and get set to work on that tan. If you’re a shopper, the cool of Bangkok’s shopping malls will really appeal during this season! Fancy yourself to be a bit of a cold frog? Thailand’s cool season occurs between November and February and is ideal for those who like to pop on some layers and keep warm by exploring. This said, the country’s tropical status means that those looking to really experience the cool are best to head to the northern mountain areas. The cool season is typically non-existent in the southern areas and, in central regions like Bangkok, has been known to only last for three weeks in late December/early January! Cool season temperatures average 26°C. This can drop quite significantly at night in the mountains. If you’re planning a trek, pack a scarf! Choosing the best time to visit Thailand will very much depend on what you plan to do. 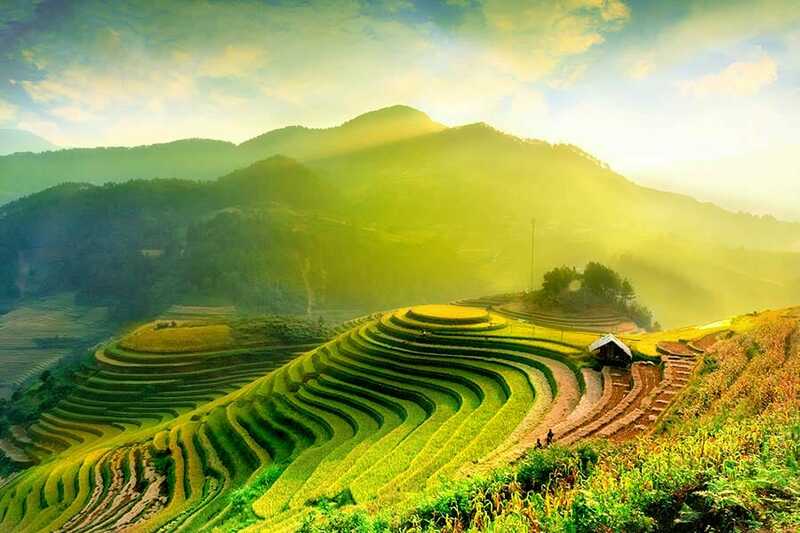 If you’re looking to explore the villages, rice terraces and mountain ranges of the north, go between November and February. With cooler weather, next-to-no rain and the ever-present beaming sun, you’ll be able to really enjoy the journey, free from mud and too much sweat! If beach holidays are your thing, you can really travel whenever you like. Because the wet season varies depending on which coast you choose, you will always be able to find a warm, sunny shore to bake on. The most popular times to travel to these areas are typically between late November and early May. If you’re up for a party with delightful strangers, head over during these months. Still not sure when to plan your My Thailand holiday? Call our My Thailand Holiday Experts today on 1300 008 424!